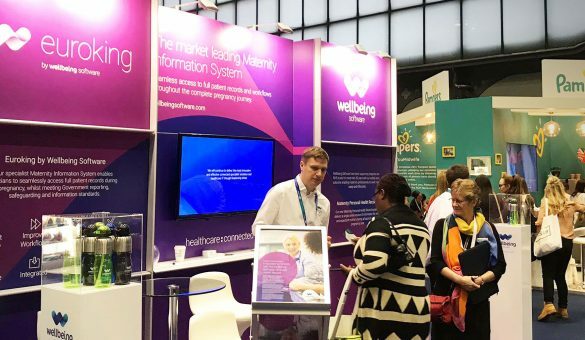 Wellbeing Software, the company behind Euroking – the UK’s market leading Maternity Information System – has launched a new Personal Health Record (PHR) to give expectant and new mothers a single online source of information relating to their pregnancy, antenatal and postnatal care. New and expectant mothers can log on to the PHR from desktop and mobile devices to view a full range of brochures and advice relating to specific conditions that they are otherwise required to carry around in paper formats. Likewise healthcare professionals including midwives, obstetricians and anaesthetists can review pregnancy records and use their training to make the best decisions for the provision of care. As the Personal Health Record is an integral part of the Euroking solution, mothers also have access to their full pregnancy medical records, including all of their pre and post-pregnancy appointments. As well as being part of the drive to reduce costly and error-prone paper processes, the PHR enables mothers to access information anytime, anywhere, granting them greater clarity and control over their care and birth preparation, something that is key to the NHS’s Better Births initiative. Interactive planning between parents and medical staff is supported, so that decisions such as preferred pain relief, whether the father is present at the birth, and who is to cut the umbilical cord can be discussed, recorded and referred to centrally. Confidential information on the mother and private communications between medical practitioners which take place through the Euroking platform are also protected, ensuring that all information is only available to authorised users. Women are granted their own unique login credentials to the PHR by their relevant NHS Trust. The launch of the Personal Health Record is part of Wellbeing’s wider drive to connect healthcare information from multiple sources, providing a single source of information for clinicians and patients alike. In turn, this enhances efficiency, delivers greater continuity of care and can be the foundation for more collaborative and joined-up healthcare interventions.